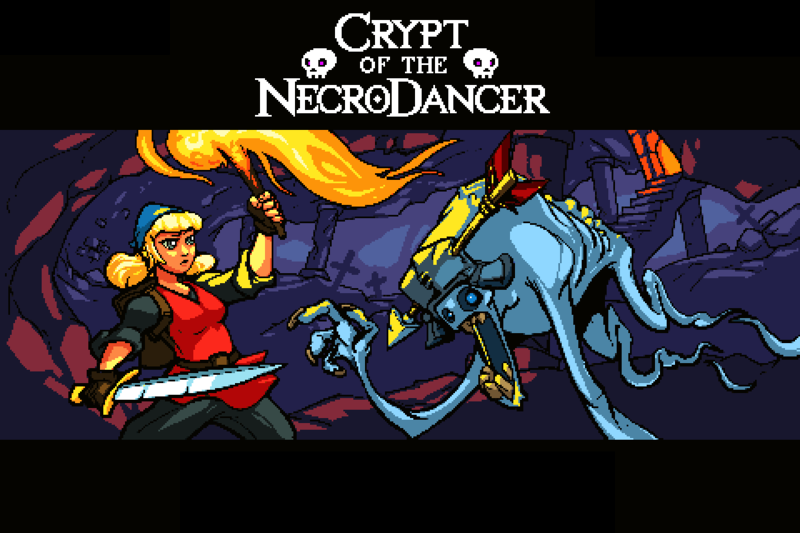 Drinkbox Studios has put out some of my favorite indie games over the past few years. Tales From Space: About a Blob and Guacamelee were both great games with great gameplay and art style. When they announced Severed and decided it would be a PlayStation Vita exclusive that was bold risk for sure. The Vita really doesn’t get any support from Sony anymore and it doesn’t have a lot of must own games. Well folks, if you have a Vita or are going to buy one let me tell you that Severed is one game you must own for it. You start the game in this weird world outside of a destroyed home. You make your way towards it in the first person point of view. When you make your way inside this home you’ll find a full mirror that reveals you are a woman and you have had your right arm sliced off. Your name is Sasha and you are then treated to a brief flashback that shows a beast, her mom, dad, and brother, and her losing her arm. When the scene ends you see a demon like figure behind you in the mirror who gives Sasha a sword and tells her to find her family. This is your goal in the game and you set off to do just that. 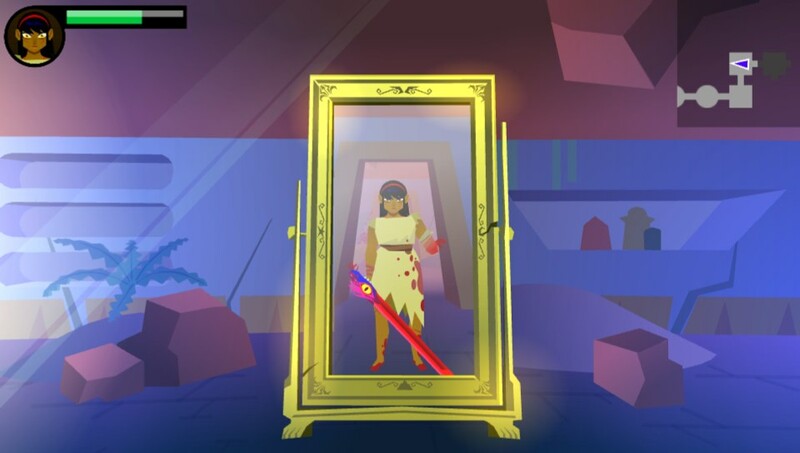 Severed has the same Mexican art style similar to that used in Guacamelee. The games are completely unrelated other than that though. 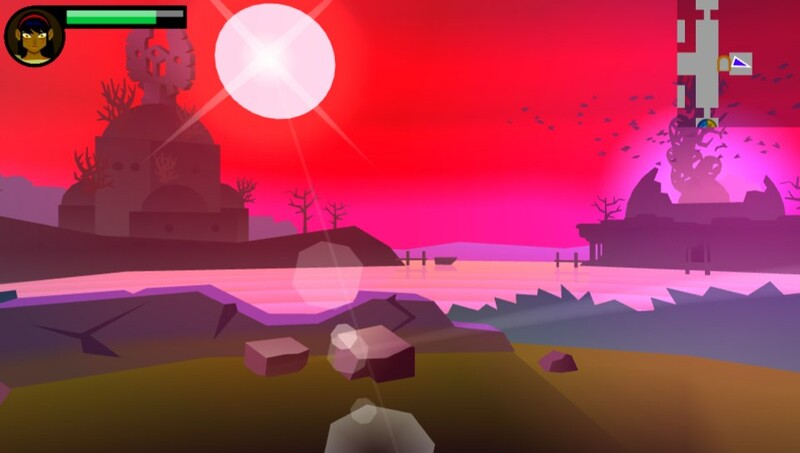 Severed is a first person dungeon crawling, metroidvania game. You’ll move through the world using the d-pad or the analog stick and can move in four directions: up, down, left, and right. 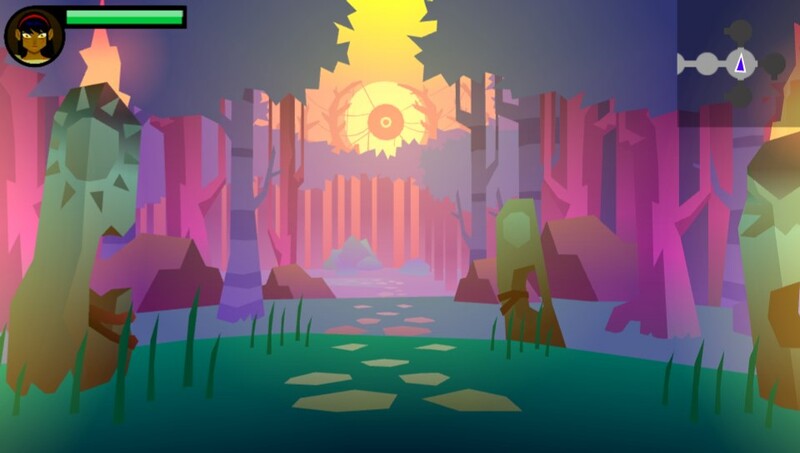 The world of Severed is big and you’ll explore temples, wilderness areas, and even the internals of worms. 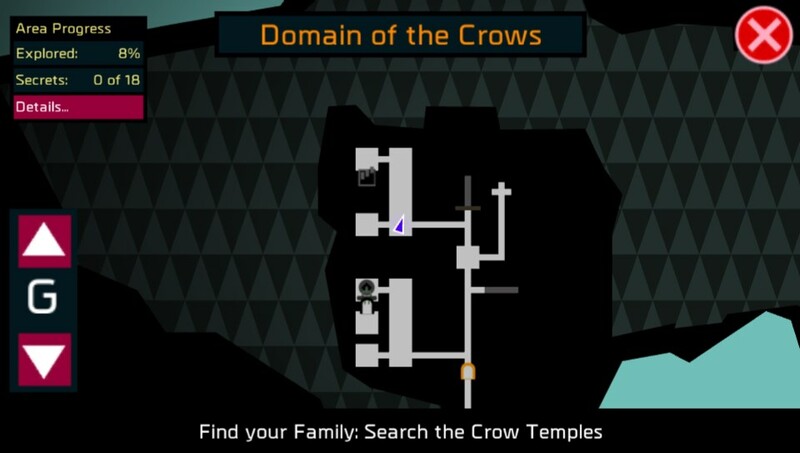 You bring up a map that will show you areas or rooms you haven’t yet explored yet. I found myself wanting to explore every last inch of the maps. Some of them you won’t be able to when you come across them for the first time as you’ll need an item or upgrade that you obtain later in the game and then you’ll want to come back with that new power. Trust me you will be rewarded when you do. As you are moving through the rooms you’ll come across white flames sitting ahead in the middle of your path. This is a combat encounter so draw your sword and get ready to fight. You will face some kind of beast or beasts in these encounters and is where Severed really gets its name. You use the Vita’s touchscreen to slash at these enemies weaknesses. You can use either small or long slashes to do damage to them. As you attack them you’ll be building a meter in the top left called a focus meter. When you fill this meter up and take the enemies health bar all the way down you will be given a very short time window to sever off these creature’s arms, wings, eyes, etc. You really have to be quick to do this although you can upgrade your abilities later on to give you a couple more seconds. 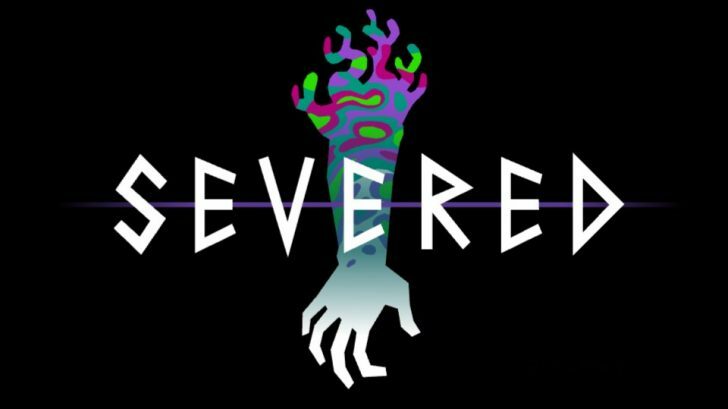 Even though I usually hate touch heavy games the way it is done here in Severed is just so well done that I loved every second of it. The fights start off easy as you’ll only fight one enemy but it gets a lot harder later in the game. You’ll encounter fights later that can have four or more enemies you have to fight at the same time. You’ll have to figure out each creatures attack pattern and decide who do you try to kill first. Some of these enemies will even start to have stat bonuses like regenerating health, increased defense, increased attack, etc which makes things even harder. I found myself having to come back to certain fights later on after I upgraded and made Sasha stronger. To make Sasha stronger you’ll have to use those limbs you’ve been severing from your enemies. 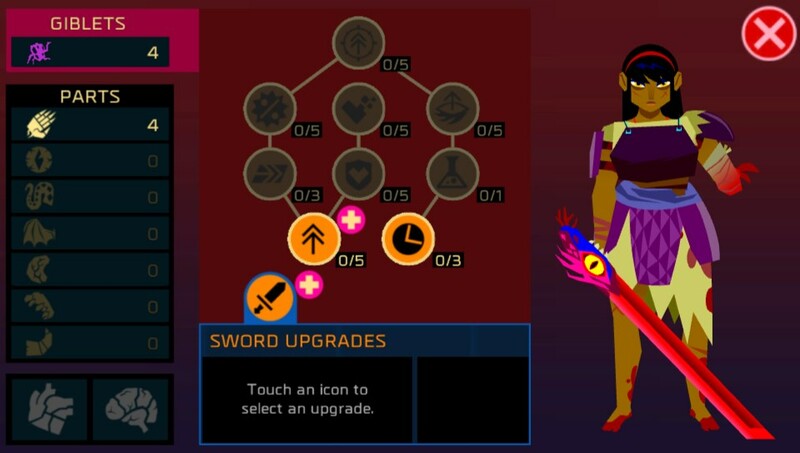 You have a skill tree and each upgrade takes a certain amount of parts to upgrade. You’ll also find other things in vases in the world called giblets. You can then convert these into certain enemy parts that you may not have enough of. The whole system of fighting these enemies, severing their limbs, and then using those limbs to upgrade Sasha is just go fun and satisfying that I couldn’t put the game down. I just kept on wanting to progress and sever more limbs. Exploring the world offers some challenges too. You’ll have to find these Sun/Moon plates in one temple that will open and close the corresponding doors when you switch between them. You’ll fight in a crystal area that will blind you with how bright it is making fighting enemies in this area even harder. When you gain the right upgrades you’ll be able to go back and open those previously blocked off areas for things like health and mana upgrades. When you find five of each of these you will get a health or mana upgrade. The music in Severed fits the world well giving off a very dreadful mood. The combat music is satisfying as well. 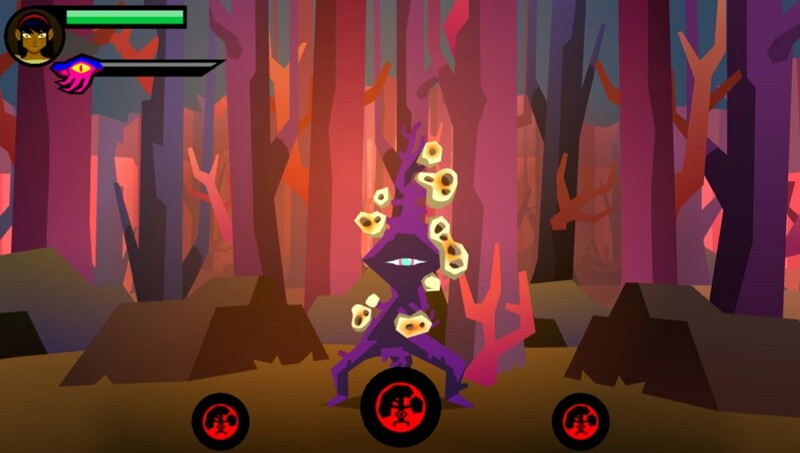 The graphics in Severed are beautiful and the enemy design is great and creative. The boss fights are well designed as well and are some of the best parts of the game. For those interested in trophies, Severed has a full list including a Platinum trophy. It is possible to earn them all on your first playthrough as I did but you’ll have to be very thorough and explore every area to do it. 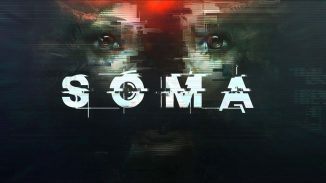 Overall the game took me around 8 hour to finish it my first time through. I was a bit saddened when I finished it as I was having so much fun with it but I can always go back and play it again. There really isn’t anything wrong at all with Severed. It is one of the best Vita games on the system and I can’t recommend it enough. Drinkbox took a big risk releasing this game on on the Vita but it takes full advantage and is probably the best use of the touchscreen to date. The combat is so satisfying, the world so beautiful and fun to explore, and the music and sound effects so great to listen to. I loved every second I spent severing all of those monsters limbs off and making Sasha stronger with them. I hope to see more of Severed in the future and if you own a PlayStation Vita this is a must buy.